As someone who enjoys in the simplicity of navigating using a map and compass to find my way, I never really saw the necessity of investing in a handheld GPS unit. However, it’s not always beer and skittles out on the trail and there are times you’ll find yourself constrained relying solely on paper maps. Personally, I felt that the bog-standard Japanese Yama-to-Kogen series 1:50,000 maps sometimes didn’t provide enough detail. Minor trails, bridges and waterways are often overlooked which can make it trying to pinpoint your exact location. Having had a fair share of frustrating moments I decided earlier this year to invest in a handheld GPS unit. Enter Garmin Japan. For anyone looking to purchase a GPS in Japan the biggest impediment to buying one here is the cost. Garmin does this very cleverly by making a standard worldwide model and another configured specifically for the Japanese market. Case in point, let’s take the company’s most recent offering the Oregon 750t ($549.99 USD) with its Japanese counterpart the Oregon 750TJ coming in at a hefty 97,200 yen ($870 USD) or a third more expensive. This pricing is even more stark when compared to European models which can be often had for around half that price online. Determined to circumvent these exorbitant charges I thought an obvious tactic would be to purchase an overseas model and simply load the Japanese Garmin map TOPO10MPlusV3 and Bob’s your uncle. But no Garmin had anticipated this tactic also. After contacting Garmin customer service, I received a quick reply stating the following; “For your information, Oregon 750 cannot support & run Japanese Garmin map TOPO10MPlusV3 as it is not compatible with Oregon 750.” They also went on to say the 750 is only equipped with English while the 750TJ is embedded both English and Japanese and that the map data is made exclusively for Japanese GPS versions. Not unsurprisingly when the tables are switched the Japanese versions have no compatibility issues loading TOPO maps from other countries. For your information, Oregon 750 cannot support & run Japanese Garmin map TOPO10MPlusV3 as it is not compatible with Oregon 750. And there you have it textbook region-locking. Garmin imposes this price discrimination by removing Japanese language settings from international models all the while making their Japanese maps compatible only with Japanese units. The result being Japanese users buy its products at an inflated price and visitors from abroad are sidelined from accessing local Garmin mapping content. So what alternatives are there if you wish to use a Garmin unit in Japan without breaking the bank? One approach is to purchase a model from overseas and install a topographic map through a third-party provider such as UUD who sell the Topo 10m v5.0 in English (15,120 yen). Though probably the most affordable way is to purchase a refurbished unit. I bought my refurb. Oregon 600t through an online auction site for 31,000 yen ($277 USD) which is indistinguishable from new stock. The box was only thing different. The unit included the Worldwide DEM Basemap, TOP U.S. 100K v5 and Japan RoadNavi 25000 v2 on microSD card with road and 10m topographic maps in English. After road testing the Oregon 600t for several months now I simply can’t imagine hitting the trails again with bringing it along. The 10m topo maps for the most part include the same trails as found on the Yama-to-Kogen series though occasionally omits lesser used trails so you need to use the route planner tool to manually input waypoints. Regarding battery life, using Panasonic Evolta alkaline batteries I can just about squeeze out an overnight hike on battery save mode and by minimizing the backlight timeout. Recently however I made the switch to rechargeable nickel-metal hydride (NiMH) batteries which last a fair bit longer. The bright 3-inch touchscreen display cuts down on glare and remains readable in direct sunlight. Another selling point of the unit is its ruggedness with a strengthened screen which can accommodate gloved operation. Being durable places it at a huge advantage over most other GPS-capable smartphones. In the box: Oregon 600t, USB cable, carabiner clip and documentation. Oregon 600t refurbished unit with 1 year warranty registration card. At least in Europe it is mostly better, and you don’t have to pay the ridiculous prices for map content. Unfortunately it is a bit of a hassle, as their server does not convert Japan yet. That’s quite an impressive listing of free maps you have available. As for other free alternatives, OpenStreetMap offers a few such as http://admincabal.com This map covers all of Japan and uses Japanese characters (kanji and kana) however you first need to update the fonts on your Garmin device for them to display correctly. Unfortunately, as far as my understanding goes, the official maps have “real” elevation data that can be displayed for any GPX route or planned route too. Thanks for the link ? The japan_contours.img adds some nice extra map relief however when I activate the japan_map.img a lot of the Romanised script turns to gibberish. For example, the place name Kawaguchiko becomes Hékouhú. Any idea why this might be occurring? Hello! Thanks for this blog, I found it searching for info on Japanese hiking GPS, but have since read a lot more! 1. How has your map been for mountain trails? Have all the trails been marked on the map? 2. Are the trails just recorded as part of the image or are they marked ‘electronically’ on the map (allowing for automatic route generation between points, and accurate displays of distance remaining, etc). 3. Is the topography likewise limited to the graphical information, or is it also digitally recorded, allowing creation of elevation plots for planned hikes? 4. Does your map indicate water refill points and mountain huts, campsites etc? 5. Did you receive both the English and Japanese language versions of the map, or are they separate? I’ve grown quite attached to my collection of Yama-to-Kogen maps for Nagano, but as I start exploring further afield a GPS seems like it might be the way to go. With the added benefits of pre-planning routes. I see Garmin now sell the western model of their GPS units alongside the Japanese versions, and they are still significantly cheaper. It seems that Garmin attach a lot of value to their map, and perhaps the use of the Michibiki satellites (can the non “J” gamins use them too?). Thanks for getting in touch 🙂 I’ll try my best to answer your questions. Garmin’s latest 1:25,000 scale TOPO10MPlusV3 is indeed a high quality topographic map series. Thus it’s frustrating that Garmin makes it compatible only with localized GPS units. Also, just to clarify I didn’t purchase the Japan Digital Road Map from UUD. I use the Japan RoadNavi 25000 v2 which came with the Oregon 600t along with the japan_contours.img. But from what I understand the RoadNavi is pretty similar. 1. Mixed feelings here. While many of the regular Yama-to-Kogen trails are displayed there are some omissions and with my map version being close to 10 years old the veracity of trails not marked on the paper maps requires research before setting out. I feel when used in injunction with a Yama-to-Kogen map the GPS provides extra peace of mind out on the trail. 2. I’m guessing the underlying UUD base map is the same as the RoadNavi so you should be easily able to generate a route between points on the map. Similarly, distance covered and that remaining is computable. Note however you’ll run into issues where a trail suddenly ceases to exist in the mapping data. Here you will need to use the route planner tool to manually input waypoints to avoid some funky rerouting. 3. The topography is digitally recorded so you can use Garmin’s route planning tool to mark out waypoints in advance. 4. In short no, there is limited information about the likelihood of finding water on the trail, though some campsites are shown but with no regularity. You will need to reference your Yama-to-Kogen map for this type of information. Some artificial features such as transmission lines and weirs are however indicated. 5. There is no Japanese language version for these maps. All the labels have been machine translated with varying degrees of success. To be honest a better idea might be to check out OpenStreetMap for some free alternatives. If you’re keen to use the Japanese GPS maps try picking up a second-hand Japanese unit as the new models are incredibly expensive. The Michibiki satellites are part of the Quasi-Zenith Satellite System. Two have been launched with another two planned. Only the Japan-centric eTrex and Oregon models such as the 750TJ support this satellite system. Again we find ourselves sadly out of luck. There is also an alternative version where you buy single maps for 500 Yen: https://play.google.com/store/apps/details?id=jp.mappleon.android.yamatokogen. I personally use the subscription version. 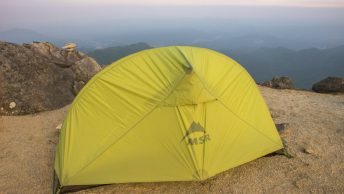 So far I used it for two 2-day hikes and multiple single-day hikes and found it a great experience. Besides seeing where you are on the map you can record your track. You can also pre-plan a hiking course and have the application calculate total distance and estimated hiking time. Thank you for your comment Arndt. Actually, I’ve been out on the trail these past few days and met a guy using this Yama-to-Kogen app. It looks really promising though the question I forgot to ask him was does it rely on wireless triangulation to pinpoint your location in which case what happens when you can’t recieve a signal or does the smartphone need GPS satellite functionality for it to work? The Yama-to-Kogen Android applications use the smartphone GPS to determine location. The maps have to be downloaded before the hike. Then during the hike no cellphone reception is used or required. I must comment on the wonder of available information via the internet. Having pulled out my Garmin GPS this afternoon to see whether I might be able to use it this fall on a hiking trip in Japan, I encountered precisely the problems described by the author. But in a short, concise article, he describes a wonderful workaround that is not terribly expensive. Thank you, sir. Thanks for reading and I’m pleased to hear the information has come in handy.